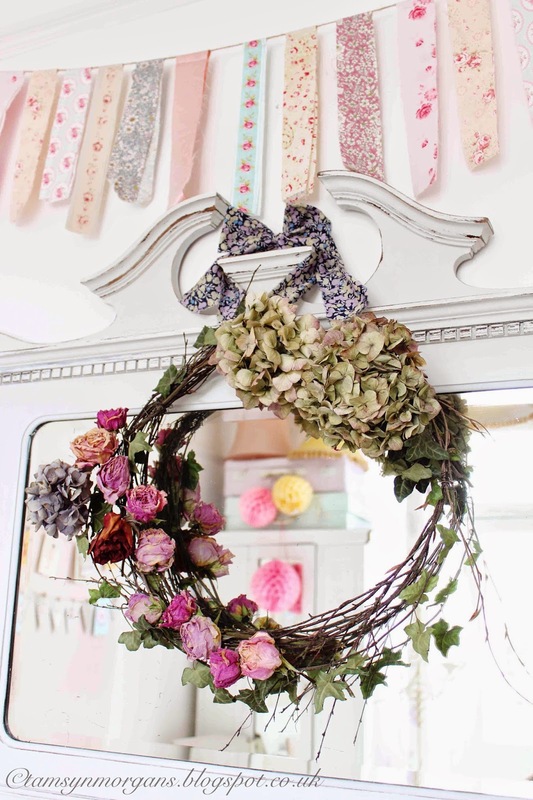 You may remember the wreath I made before Christmas from twigs and ivy foraged from my local woods, and some of my dried hydrangea heads (post here). It has been waiting by my back door for weeks, as I was going to put it in the summerhouse for a bit of rustic prettiness, where I also had some roses drying. 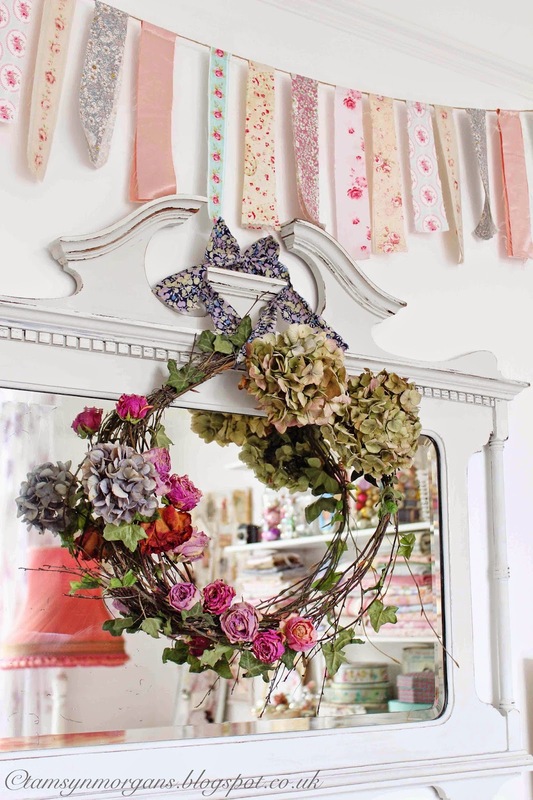 So I thought, why not add the two together to make a spring wreath! 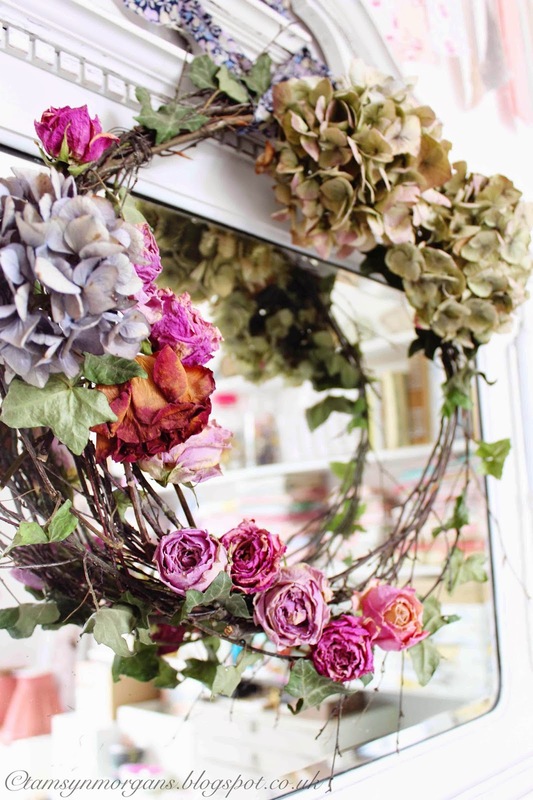 You can see my dried hydrangea wreath tutorial over on Apartment Apothecary blog here, and you can use the same idea for any dried flowers for a more seasonal wreath. 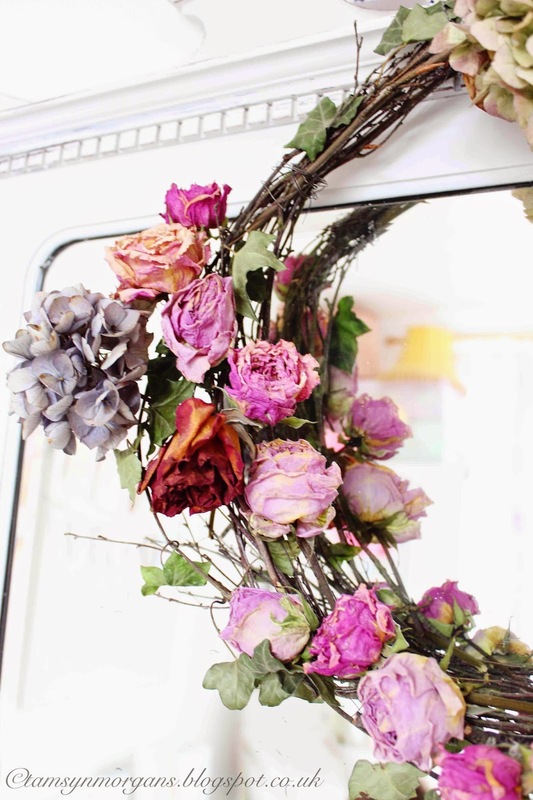 I might even try making one entirely out of dried roses next! This is so pretty, what a great idea- it is going to look beautiful in the spring! Beautiful. 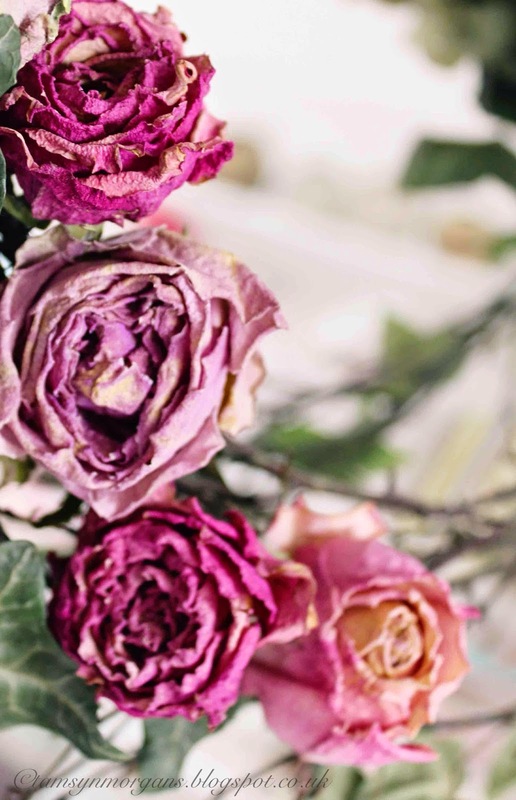 I love the colours of the dried roses.